Flying Officers Bhawana Kanth, Mohana Singh and Avani Chaturvedi have joined their squadrons. 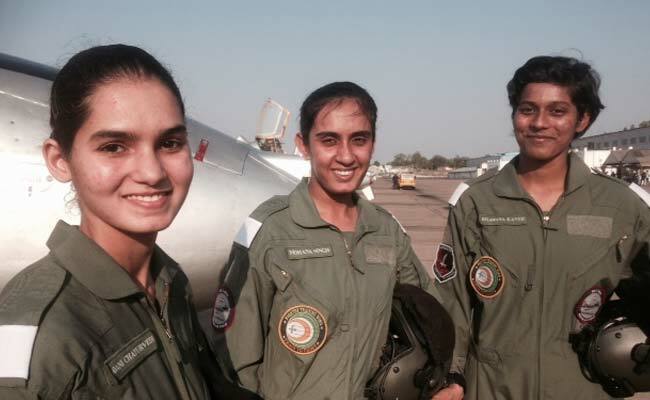 New Delhi: Less than two years after they were commissioned into the Indian Air Force as India's first women fighter pilots, Flying Officers Bhawana Kanth, Mohana Singh and Avani Chaturvedi have now joined their respective squadrons. 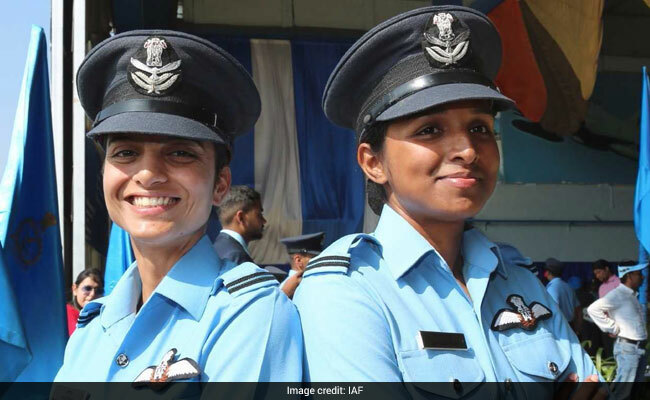 Flying Officer Avani Chaturvedi and Flying Officer Bhawana Kanth have been posted to 23 Squadron, Suratgarh (Rajasthan) and 3 Squadron, Ambala (Haryana) respectively. Both officers are presently being trained to fly the MiG-21 Bison supersonic jet after having completed several stages of fighter aircraft training earlier. In October, Air Force Chief Air Chief Marshal BS Dhanoa had said: "The present consideration is to put them to a MiG-21 Bison squadron. Our opinion is that it will sharpen their skills as the aircraft has more manual features than other sophisticated aircraft." The MiG-21 is the oldest frontline combat jet in service with the Indian Air Force, having first entered service in 1964. Since then, the jet has been regularly upgraded. The MiG-21 "Bison" being flown by Flying Officers Avani Chaturvedi and Bhawana Kanth is the definitive variant of the legacy fighter and will start being phased out of the IAF from 2019 onwards. Flying Officer Mohana Singh has been posted as a staff pilot with a Hawk trainer Operational Conversion Unit in Kalaikunda in West Bengal. She will move to frontline combat jets when an appointment becomes available. Yesterday, two women from the second batch to enter the fighter stream of the Indian Air Force were commissioned after graduating from the Air Force Academy, Dundigul. Flying Officers Pratibha and Shivangi Singh have completed their basic flying training and will now train further on Hawk Advanced Jet trainers before being posted to the Indian Air Force's fighter squadrons. A third woman pilot, trainee Rashi Raina, was injured after she ejected from a Kiran trainer late last month near Hyderabad. She survived with a fractured leg and could not graduate as fighter pilot yesterday. Her future as a potential fighter pilot remains uncertain presently. Flying officer Pratibha and flying officer Shivangi Singh were commissioned yesterday. During Air Force Day in October 2015, then Air Chief Marshal Arup Raha had said, "We have women pilots flying transport aircraft and helicopters, we are now planning to induct them into the fighter stream to meet the aspirations of young women of India". "I have no doubt that women will be able to overcome any physical limitations to become fighter pilots," he had added.